Alex Pratt and Michael Caselli are raising money during the London Affiliate Conference 2013 by auctioning themselves on ebay. Up for bidding is to have Alex and Michael wear your brand during the entire conference with the proceeds going to GamCare. The London Affiliate Conference 2013 will be the biggest gambling affiliate conference to date. 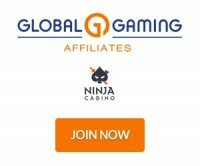 There will simply be more people and more affiliates attending which reflects that online gambling is getting bigger and bigger. In one of the most unique advertising campaigns done at the iGB affiliate conferences, Alex Pratt and Michael Caselli have given people the chance to 'own' them during the conference and have them wear your brand throughout the event. They could have done this for their own personal gain but instead they are raising the money for charity and giving it to a very worthy cause to GamCare.org.uk. Of course GamCare is a very relevant organization in online gambling as they provide support for people that have problems with gambling addiction and are seeking help and treatment. GamCare also invests time and resources into research and providing the best support to help players overcome their addiction. This event takes place at Old Billingsgate Market, London, United Kingdom February 7th to 10th, 2013. Of course affiliates get to go for free and all you need to do is register. There will be a large number of stands and igaming companies exhibiting plus many panels on marketing, search engine optimization and more.